HOW TO; Get over the wall at the 20 mile point of the Marathon! IF YOU WORK AT IT! And now onto global Warming!!! Yes the ice age continues here in Southport! Last night i put on my thermal vest, Cycle thermal top, thermal tights, heavy duty gloves and 'hunters' hat complete with ear muffs! Yes I was ready to go, setting off into the freezing air I felt well toastie but also like I'd gaining a stone in weight due to the said for mentioned clothing. I reached the meeting point for the club fartlek session 5 mins late, missing the group, Dam! I went into hunter mode and tracked them down after 10 mins by following their footprints in the heavy frost! Disappointingly only 4 others turned up! 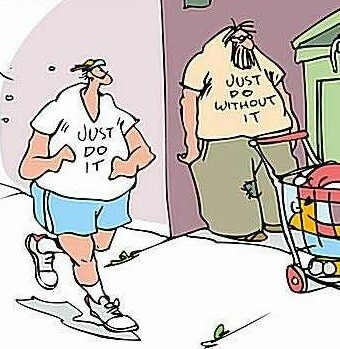 Some runners are such wimps! Conditions were a bit slippy in places and at times I felt like one of those cartoon characters running with legs at full speed but going nowhere fast as my smooth soled Nike Free's slipped on the icy surface! anyway it was a good challenge and we made it through! I took the long way home and finished with 6 x fast strides at about 5 min mile pace, then I decided to run a half mile block at sub 6 pace just for good measure! This was going to be a real marathon challenge for me! First a hard night shift, dragging heavy cages of stock onto the shop floor followed by filling the shelves of the pet food aisle [ think 15k bags of dog food etc, they gave me this assignment because I'm fit! Thanks guys!!!]. I managed two and a half hours in bed before I had to get up, eat breakfast, do some warm up exercises and trigger point massage, then it was time to meet Tracey and Steve for the lift to the race. It's always good fun traveling with Trace as she is very accident prone and something funny always happens to her, ie; falling down mud filled ditches in 1/2 marathon races and ending up looking like the swamp monster, getting lost before the start of a race and getting into a fight with the clubs tent and ending up worse for wear at the last X/C meet are just a few of the many bizarre things that happen in Tracey's World! Oh Man it was cold, brass monkey weather, the ground was frozen rock hard under the grass. This was a National race series and included many of the countries elite runners. The start was very fast as you can imagine, I was hoping to stay with team mates Steve McLean and Neil but my legs did not have the speed to keep up. Once I was fully warmed up I found myself gradually overtaking runner after runner, I was quite enjoying myself running at my own pedestrian pace. As you can see from the video below the course ducks and weaves its way through the trees at times making it quite fun! 3 laps and 10K seemed like a long way and I was pleased to cross the finish line, finishing with an average pace of 6.17 but almost a min slower than last year. Last year I followed Pete Magill’s advice of doing only one hard session on a race week, it worked well leaving me feeling fresh and strong, this time I just ran through the race putting in 3 hard sessions in the week! 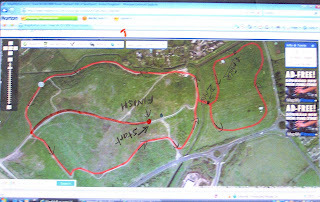 I plan to target the Beacon Park X/c in a couple of weeks as a target for a good run this time around. Steve Lewis did well finishing just one min behind me, he’s improving fast. And Tracey finished first of the Southport girls winning her a team prize, she also tripped on a tent peg after the race and almost went flying! The Video below is from the 2005 race when a young Mo Farah won with impressive style, great video check it out! 25 years ago Steve Jones set the British Marathon record of 2:07:13, his time still remains the fastest time of any British marathon runner. The Question is can anyone beat his record in the near future? And are British runners no longer HARD enough to do the training? This Sat see's the return of the The McCain UK Cross Challenge at Sefton Park Liverpool, the New club spirit should lead us on to great things in future races! we ran 4 x 4 mins on a loop up and down the prom by the Kings Gardens, Storming Norman once again blew his whistle to stop and start us. The great thing about these sessions is it allows all abilities to take part and get benefit. Once more Steve Lewis pushed me hard, my aim was to run at 10k pace which I managed to achieve despite putting in a one hour 7 min run through the sandhills with Tess earlier in the afternoon. Level one run with Tess finished with 6 X strides at 10K plus speed. Just maybe, giving you guys a link to BODYROCK was not such a good idea! viewing figures here have dropped from an all time high to just one today! I think that one 'hit' was Tess looking to see what I'm buying her for her birthday! Even Ewen and Scott [my most loyal supporters] have left me and have been buying Zuzana and asking her to do even MORE sweaty workouts than normal! Is it time to close RicksRunning down? 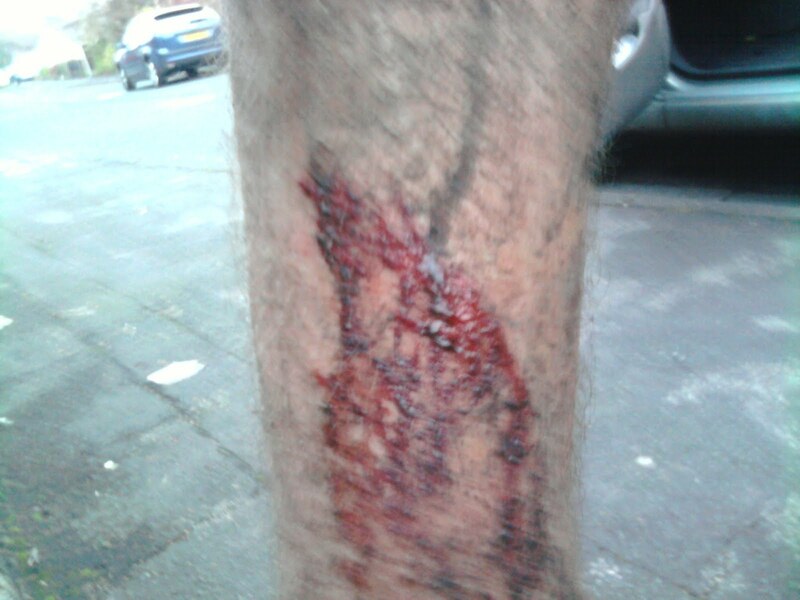 Was an epic session, running down to meet the club at Ainsdale, we did 8 long and hard efforts. both Steve Lewis and Neil [X/C specialist and Marvin soundalike] pushed me hard! with running home this gave me 2 hours of running, felt pretty strong! Short and sweet, 25 mins at level one then ran the last 5 mins hard-5.40-5.30-5.20 my pace accelerated up until I was hitting 5.02 pace for the final 200m. Felt good. One Mile Hill Climb And downhill event For Southport Runners! CANCELLED DUE TO SNOW AND ICE! NEW DATE will be in early spring. My old cycle Club use to hold a unofficial hill climb and downhill mile event every year around Christmas, it was good fun. After the FUN the idea will be to go for a meal at the farmers arms. TWO RUNS IN ONE DAY AND A GREAT CORE WORKOUT! After a one hour Level one run with faithful friend Tess over the sandhills in the afternoon i set off on my second run of the day! Legendary coach Storming Norman took the session, there was a good group out and despite the near gale force winds we had a great time. Norman set us the task of 6 x 2 mins running round a loop near the Kings Gardens. He blew his whistle at the start and finish of each interval, so all we had to do was run! the idea was to get a bit further round the loop on each effort. New girl Rachel had an impressive turn of speed as well as old hand Andy Hudson who pushed me hard! Andy and me were hitting 35 min 10K pace on most of the efforts with the last one being the fastest with Andy really going for it! It took most of the 2 mins to catch him, result 5.20 pace! But this session worked well for all abilities and everyone got a great workout. Recommended Website by Steve Lewis. NEW Night 5K Series in Southport! Highest central point of the park Bentham's way, new woodlands park. Are you bored? fed up? Been watching to many repeats on TV? Want to get out and have some real FUN ? Then get ready for a brand New exciting challenge! First event soon, watch this space! Only a limited Number of headlights available, so get dialing! WANT ADVICE ON HOW TO SAFELY RUN IN THE DARK? Headed down to Ainsdale to meet up with the club [We meet at the Spar next to the railway station 6.30pm every Monday]. After a warm up Head coach Brian took us through a series of dynamic drills. We looked kind of funny skipping down the road looking like members of Monty python's flying circus, at least it was dark! The training for the night was a pyramid session, starting with shorter efforts building up to about 3/4 of a mile and working down to shorter efforts again. I felt really strong, keeping my efforts controlled I gradually increased my pace on each one and finished still feeling good! It's amazing how much more fun running in a group is than on your own, after all it's way the African's train! Ran back with Paul then finished with 6 fast strides reaching a max of 4.18 pace. Last week I got the 'BONK' running home, this time I felt great, amazing the difference a week makes to the fitness level! WHATS YOUR LOWEST HEART RATE? My morning heart rate was an all time low of 29 this am. Not sure if that's good or bad? Your resting heart rate gets lower as your conditions gets better. You will probably already have noticed that your resting heart is lower when you are in good shape. This is because of a larger stroke volume or more correctly a bigger parasympathic drive on the sinus node. It is easy to monitor your resting heart rate, just put on your Polar rim when you wake up and relaxe for a couple of minutes. Now I want to know: Who has had the lowest resting heart rate ever? What is your highest maximum heart rate ever? Low Resting Heart Rate – Does it matter? First I want to thank you for all your support and great responses. After a few days on the countryside I could take some decisions. Running is in my blood and I decided to continue competing. My announcement in New York was my first reaction after a disappointing race. It's all the rage right now, caveman diets and rejecting a materialist way of life! Well Tess and me have been getting our kicks the Primeval way for many years and today was no different. Tess going bare paw as always and me in my modified healess Nike Free's WE head out along the road towards the big sand dunes. Our pace quickly picks up to 5.20 pace, we are flying, I'd spent 20 mins doing the TRIGGER POINT PERFORMANCE WORKOUT so I was well warmed up, but would I pay the price for this suicide pace later on? We soon reach the Nature trail and I remove Tess's lead so she can run free! She bounds on ahead of me as we ride the trails like water flowing along a stream, up and down the hills, pushing hard on the up, getting a recovery on the down then winding the pace up along the flatter grassy sections. Tess puts her nose to the ground cocking her head to the side, moments latter her ears prick up as she locks on to the scent of our pray, we are primeval hunters on the run! We reach the lake near Pontins then head inland, with the wind on our backs we start to really shift over the roller coaster route. Over the big dipper, the highest point in our run, Tess skips ahead with effortless ease as I struggle up the insane 1 in 2 ascent, over the top and we fly downhill weaving our way between the trees and bushes. WE pass the Royal Birkdale Golf Club house, then and along a short tarmac stetch, I push hard to hit 5.20 pace again before we turn left and head passed the grass mound, after a slight rise we have a nice downhill trail. A dog decides to walk into my path and I have to side step it at speed! Over the coast road and onto the velvet trail, bit by bit we increase pace I follow Tess's tail. The last 5 mins are back on the road and I push all out and finish the last mile at sub 6 pace! We both finish with a smile, it's been a good day, one to remember, one to savour! Two hunters, working together, feeling strong! I decided last week just to enjoy my running and run as I feel for the next 6 weeks. 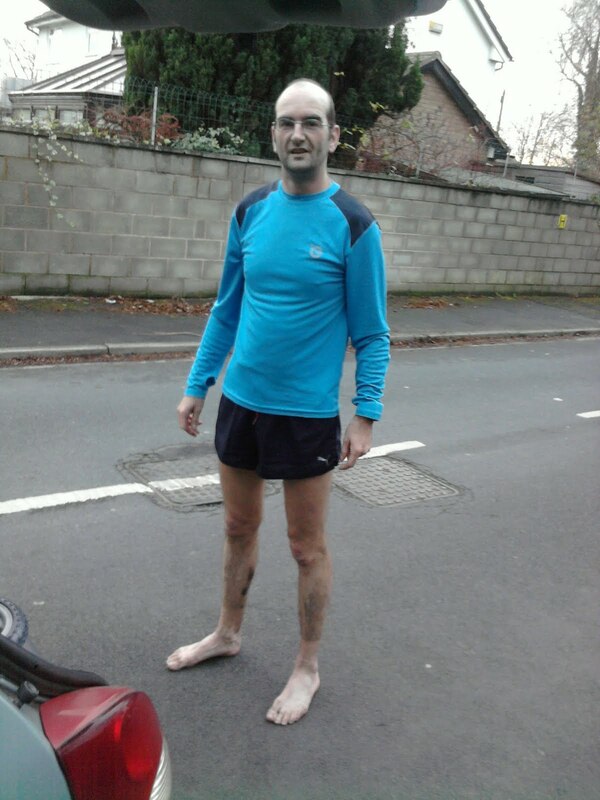 Monday i ran down to the club fartlek session and enjoyed running with the guys. On the way home I got the 'Bonk' as my blood sugar took a dive, I started feeling dizzy and with no emergency gels to hand I had to crawl the final couple of miles at a very slow pace. I ran with Tess for 30 mins on the road and finished with 6 fast strides. hillside road loop with Tess, steady run then really picked up the pace for the last 5 mins, we were flying and hit well under 6 min mile pace. RUNNING NEWS, BREAKING NEWS, AMAZING NEWS! The HOTTEST News Stories In Town! Rumors that Ryan Hall has been spotted running on water wearing a pair of New prototype Asics 'Jesus' sandals' have been denied by R&D Asics spokesman Anton Yakamoto, He said "This is just pie in the sky". Haile Gebrselassie is about to break a New record, for the shortest ever retirement from running! Each day this week I've got on my knees and asked God to give me a daily training programe for Tess [she's doing the Mad Dog 10K in Feb] so far God's not got back to me, which means poor Tess has been missing out on running this week! Backwards God spells Dog, does this have meaning? What's the Perfect Running Form? And Who's Got It? RYAN HALL asks God for New training plan! 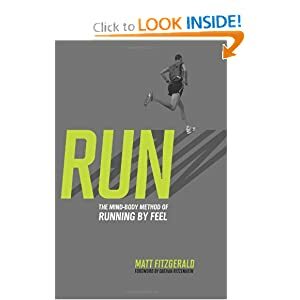 Or is he really in truth just running by FEEL, INSTINCT as in Matt Fitzgerald's book, ie; run hard when he feels good and take it easy when he feels tired. Is his voice of God really just his own inner voice? EVERYTHING YOU KNOW ABOUT HOW MUSCLES WORK IS WRONG! Gebre Gebremariam, a 26-year-old from Addis Ababa, Ethiopia is making himself at home in Central Park. 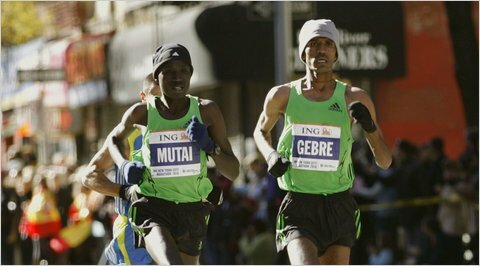 He left Emmanuel Mutai of Kenya in the dust in the final mile to win the New York City Marathon. He won in 2 hours, 8.13 minutes. Defending men's champion Meb Keflezighi gutted out a sixth place finish in the men's race. 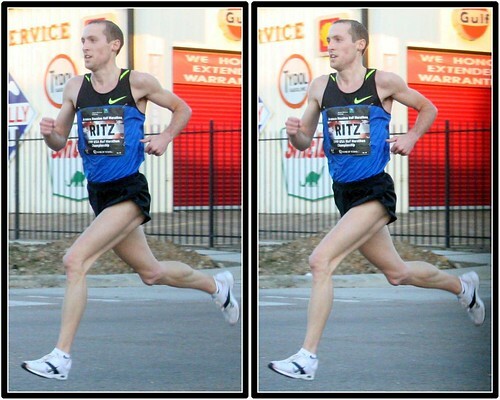 Dathan Ritzenhein finished eighth in 2:12.33. I doubt he will be happy with that result! Edna Kiplagat of Kenya used a strong push through the hills of Central Park to leave her nearest competitors behind far behind as the finish line neared. Kiplagat, 31, has had a phenomenal year. She won her first three races of 2010, including the Los Angeles Marathon, all in personal best times. The other was a 15K in Utica, N.Y. and the Steamboat (Ill.) Classic 4-Mile. Shalane Flanagan caught Keitani in the hills of the final mile and finished second in 2:28.40. in her first ever Marathon, amazing stuff! Before coaching, Alberto Salazar was an accomplished runner who won three straight New York City Marathons. Mara Yamauchi is homesick. She has been away from Japan since July - training and racing in Europe and the United States - and can't wait to return with her husband Shige. But first she has to tackle 26.2 miles in the ING New York City Marathon on Sunday. A day after Haile Gebrselassie ran 59:33 to win the Great North Run in Gateshead, Flotrack met him out in his home of Ethiopia. While he was recovering the days we met, we were able to follow him through his typical strength routine in the gym. At age 37, Haile is still getting after it with some great intensity and drive. Watch him this weekend go at some of the best in the US and best in the World as he tries to win his first ever ING New York City Marathon! Thanks to Haile for open his doors to Flotrack and letting the community get an inside look at his life, he is a remarkable person! Melissa Freeman is a new runner preparing for her first race, the Zappos.com Rock ‘n’ Roll Las Vegas Half Marathon on December 5. In My First Race, a Competitor.com original video series, follow Melissa–a Nike Run Reporter– as she prepares for her big day in Las Vegas. We’ll visit with Melissa every Monday and take an inside look at her day-to-day life, visiting her at home, at work and in training to see how she is preparing to tackle her first race. Click on the image below to watch the first video and meet Melissa.